“Helping The Hurt” is more than just a motto it is what we live by; it is a business philosophy and a guiding vision of how we take care of each of our Georgia Personal Injury Clients. We know the struggles every personal injury client faces and the financial impact of an accident injury and we dedicate our attorneys time and energy to making each client feel appreciated and make sure their personal questions and needs are met. At Helping the Hurt, our Georgia Personal Injury attorneys have positioned themselves as trial lawyers who are not willing to accept inadequate settlements for their clients. While each case is different, our attorneys are not hesitant to go to court, even against prominent insurance companies and product manufacturers. We are have helped thousands of clients get the results they deserve not the paltry amount the insurance companies offered them. We always take a client centered approach so you feel that your case is receiving the right amount of time and attention. To see how we can help you, get your Free Case Review by clicking the button below. Our Team of Accident Injury Attorneys and Staff have been Helping the Hurt in Georgia for over 20 years now. 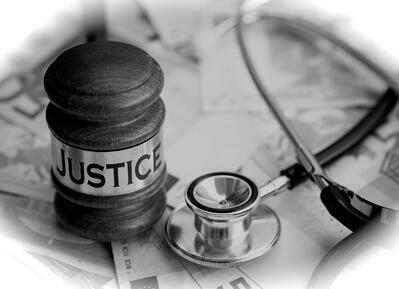 It is our distinct privilege to be able to assist those people who have suffered due to the negligence of someone else.